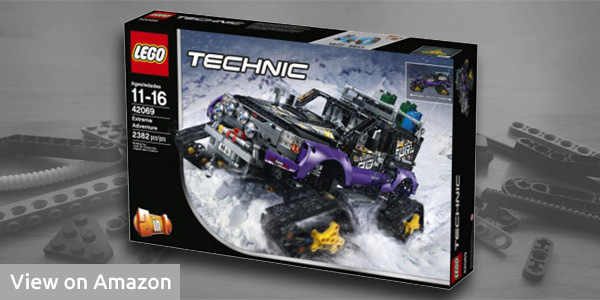 This is an extended version of my Lego Technic 2017 sets article, as there were 3 new Technic sets released in August 2017. These 3 sets are: Airport Rescue Vehicle, Extreme Adventure and All Terrain Tow Truck. I will briefly review these sets in this article. The first one on my list, is an airport firefighters truck. The model contains 1,094 pieces, out of which most of them are red and gray. The features of this set include 8 rotating beacons, mirrors, lights and many panels with stickers. It also features 4 wheels steering, 4-cylinder engine and a movable water canon. The set is suitable for the kids of the age from 10 to 16. The B model that you can build with this set is a truck with a boat. The second summer 2017 Technic set is a little unusual one for me. 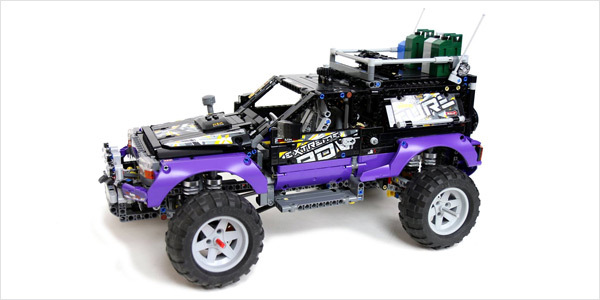 Personally, I think the purple color is a little rare in Lego Technic models. And then the tracks usage (instead of wheels) is interesting as well. The model features a V8 engine and the doors and the rear door can be opened. It consists of 2,382 pieces, out of which most are of the purple and black color. The set is recommended for the age 11 to 16 years. Below you can see this Lego set with normal wheels. I think it really doesn’t look bad, maybe even better than the original version with trucks. I would like to thank Sariel for providing me with this photo. The third August 2017 Lego Technic set is the largest set of all these 3 new sets on my list. 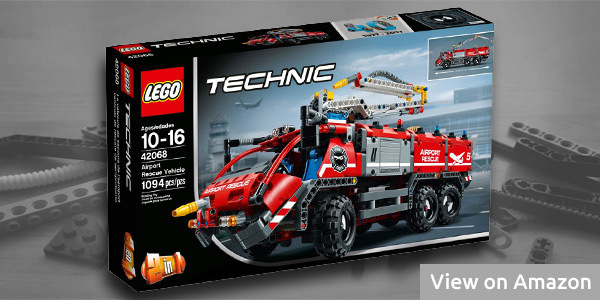 It is also the biggest Technic truck set that has Lego released so far. And it is remote controlled as well. Other features include openable doors and hood. You can drive it and control the crane. This set has 1,862 pieces and most of them are of the blue and red color. It is recommended for the ages 11 – 16. So this is the end of my review of the 2017 summer Lego Technic sets. 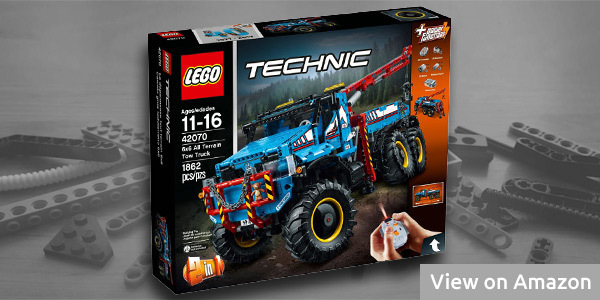 I personally prefer larger Technic sets, so these ones are ideal for me. If I were to buy one of them, my pick would be the second one, Extreme Adventure set. Or, if you are looking for something cheaper, you can check my 2017 Technic small sets list.